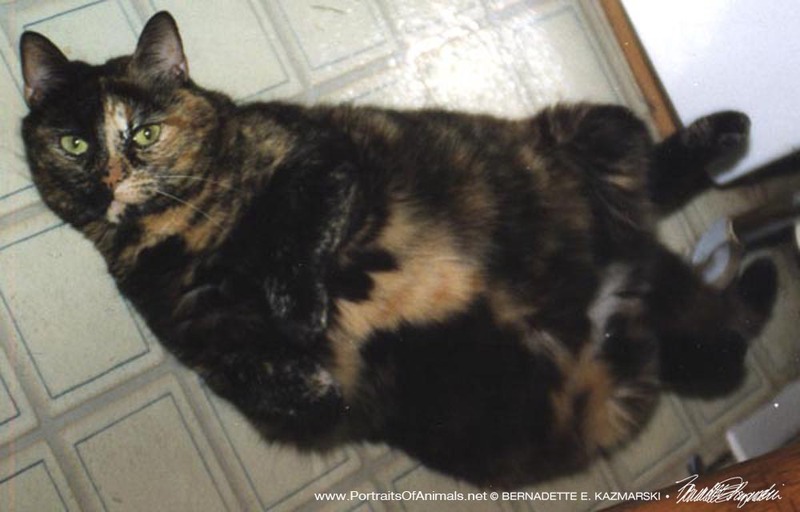 It’s summer and it’s time for Tortie Girls! 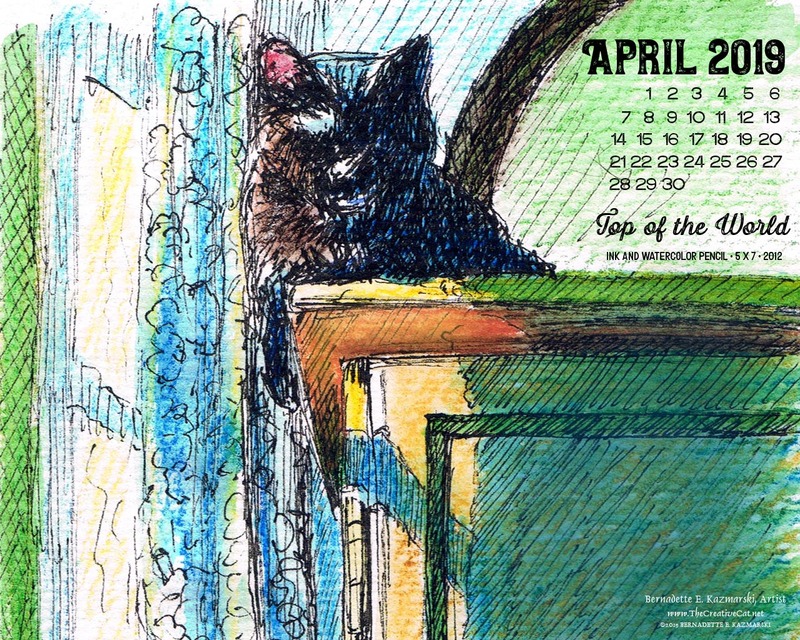 The gold and orange and yellow of tortoiseshell cats may seem more of an autumn theme, but for me those bright colors always meant summer and sunshine so they are a purr-fect choice for a summer desktop calendar. 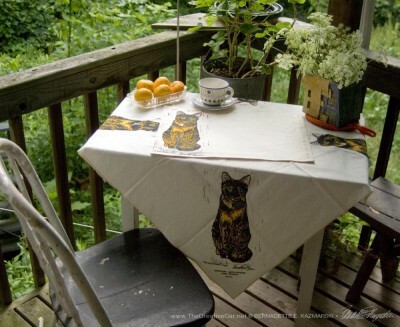 Tortie Girls tableset, The Roundest Eyes tablecloth and place mats. 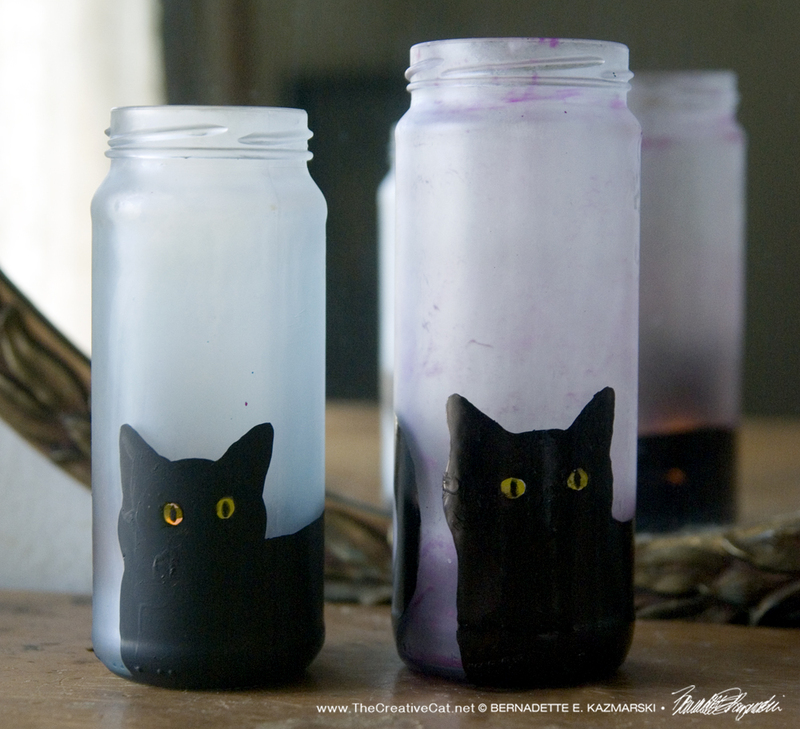 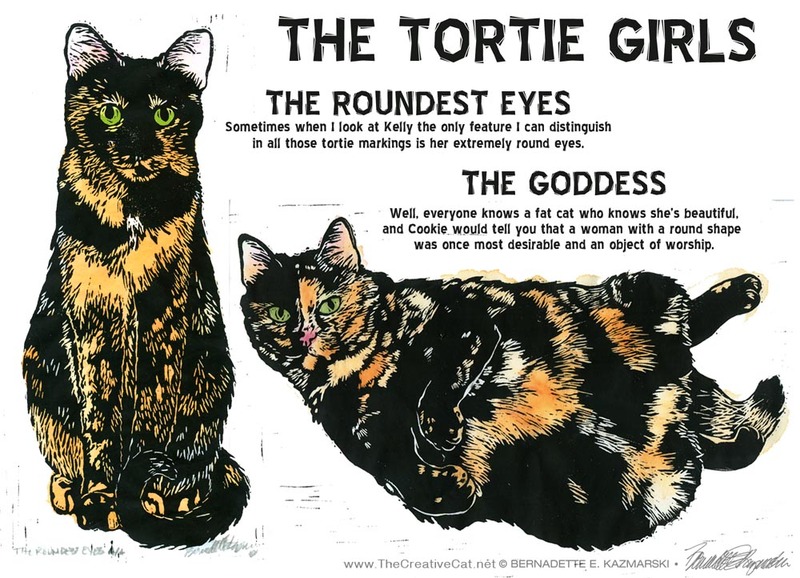 You can read more about my girls printed on everything from tees to garden flags this post, or visit my Tortie Girls Linoleum Block Prints page on Portraits of Animals. 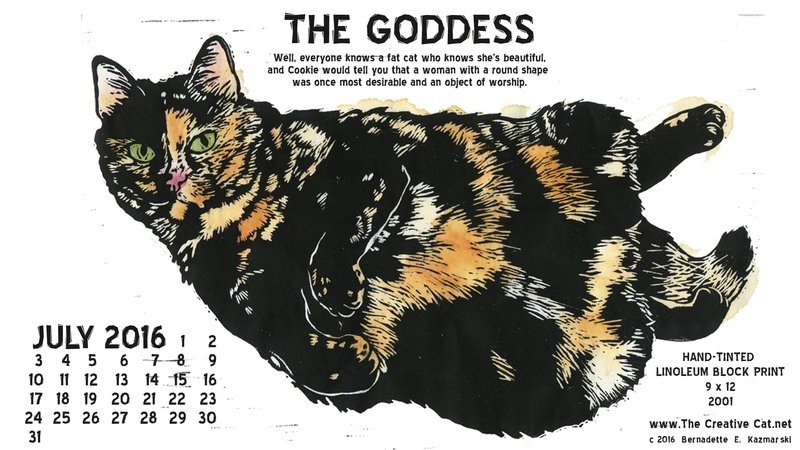 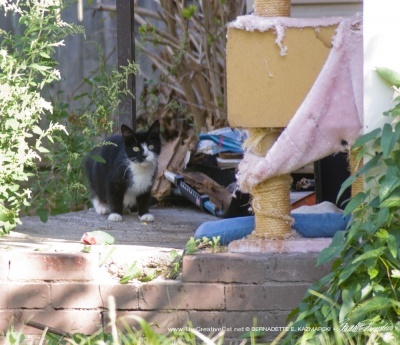 As part of this program, the monthly featured artwork and desktop calendar is usually one of the choices, but the Tortie Girls prints are a little larger and more expensive than the usual new member gift, and I can’t print them smaller as I can other artwork. 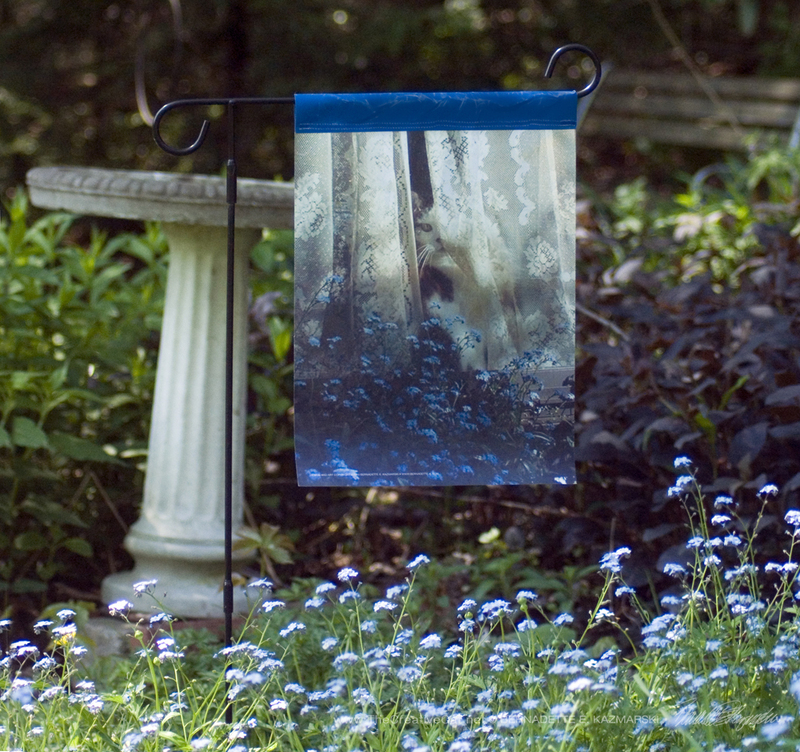 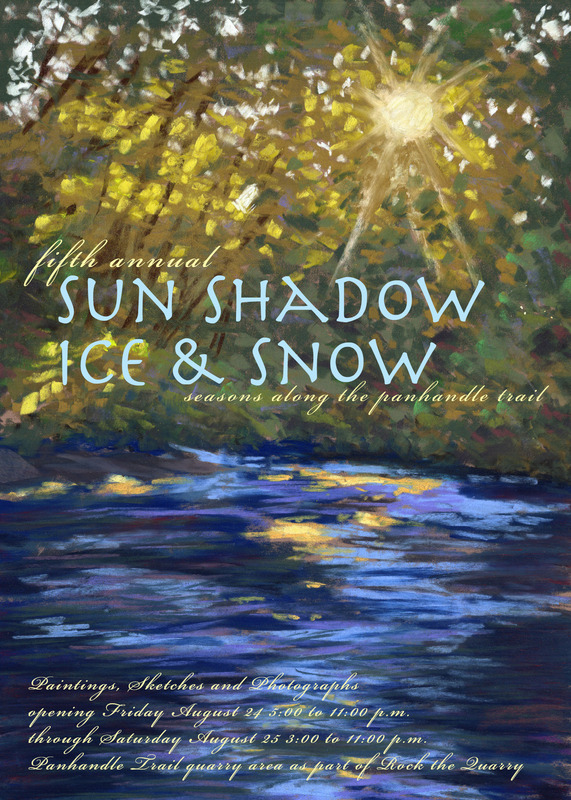 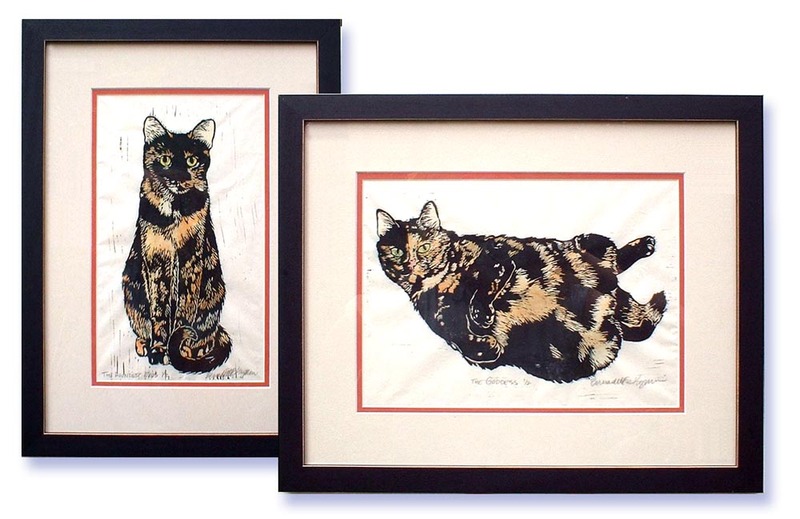 That means the current artwork, “Leaves and Shadows New Member Gift”, will still be available as one of the monthly prints through July 31—on August 1, that will be replaced with the August featured artwork—but I’m offering a 25% discount on all Tortie Girls things through July 31 with discount code TORTIEGIRLS25. 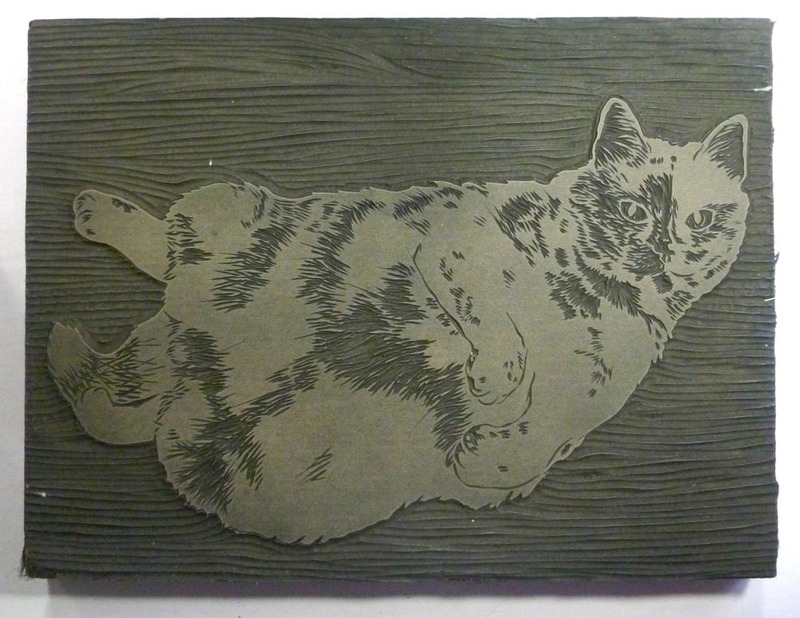 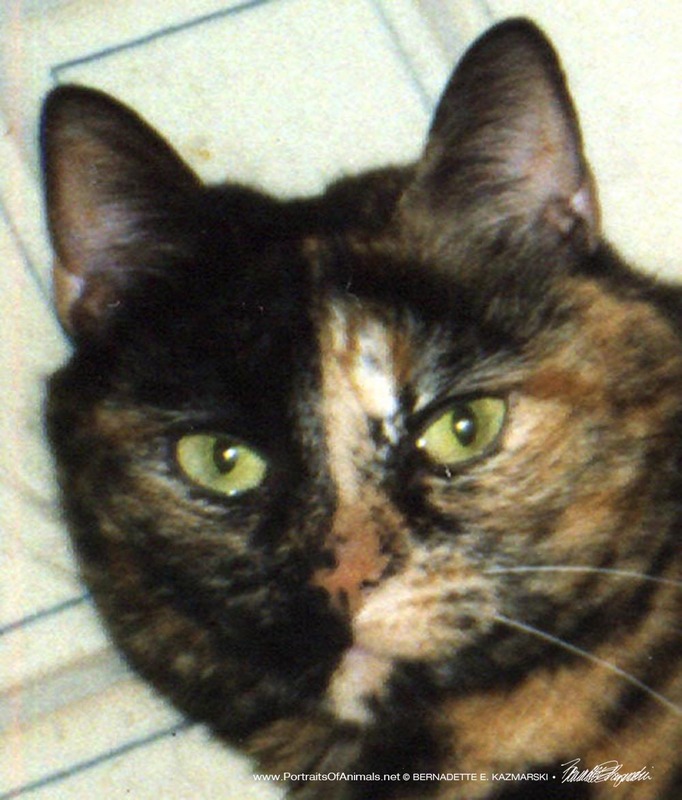 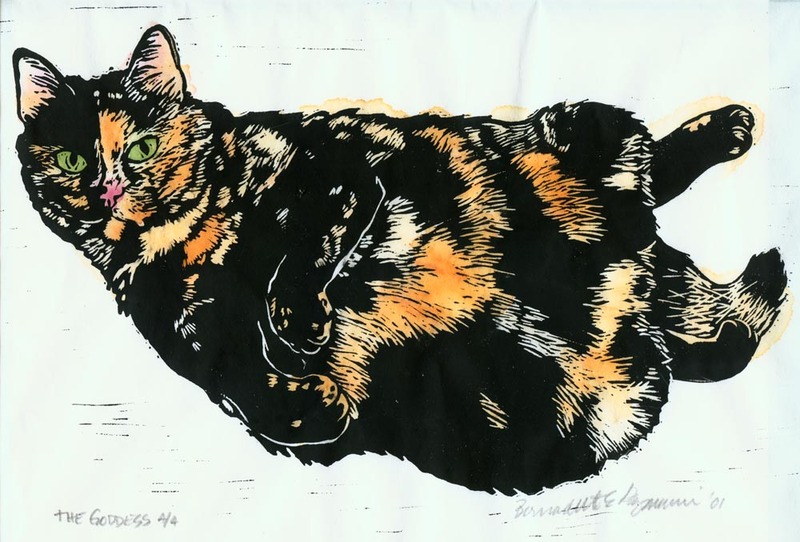 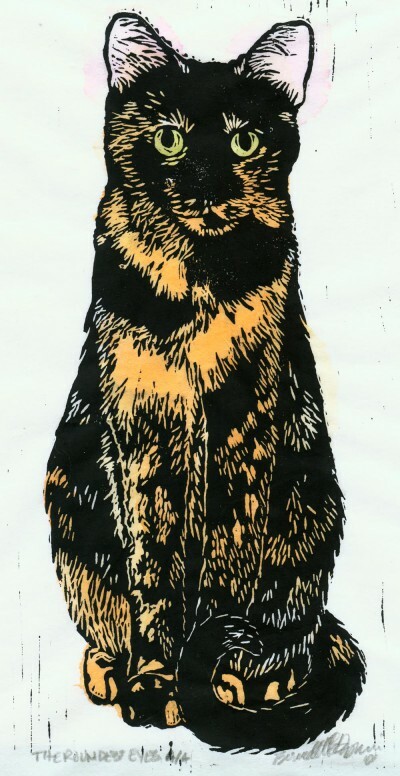 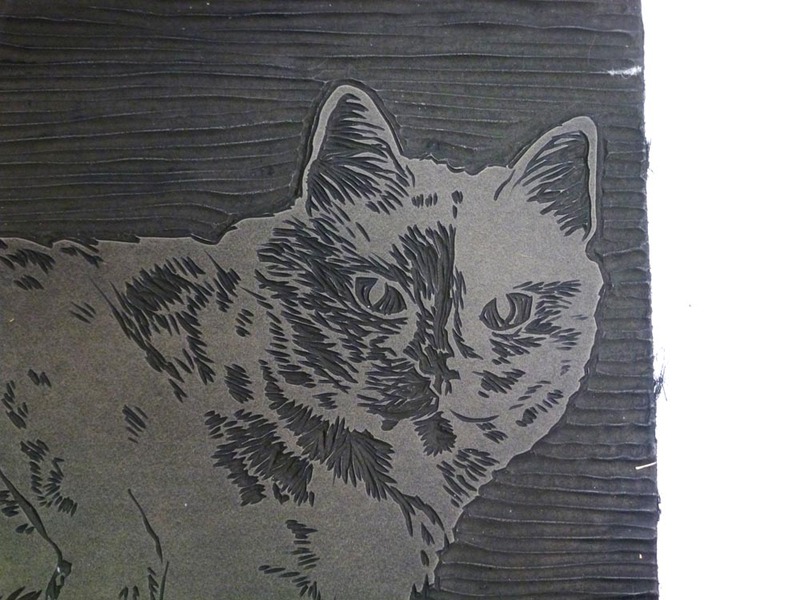 Visit my Tortie Girls Linoleum Block Prints page on Portraits of Animals. 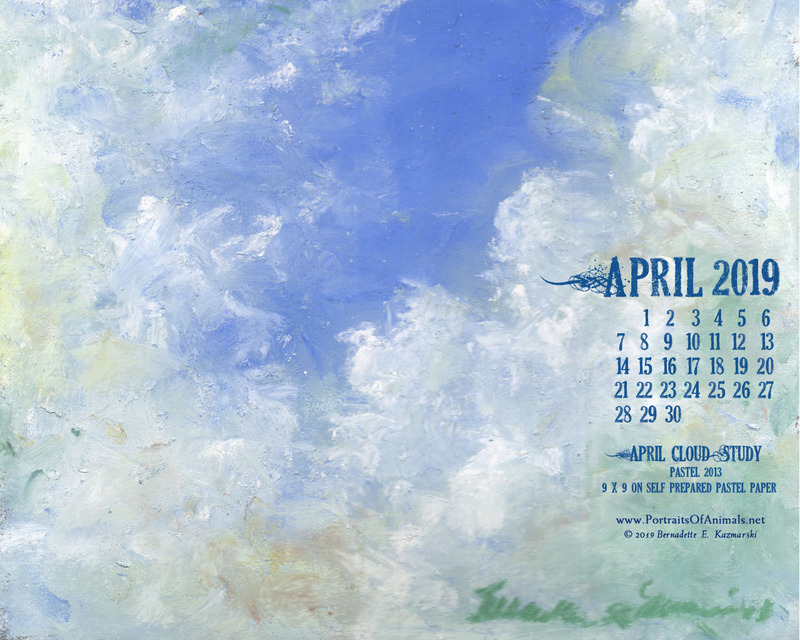 “The Goddess” desktop calendar 2560 x 1440 for HD and wide screens. 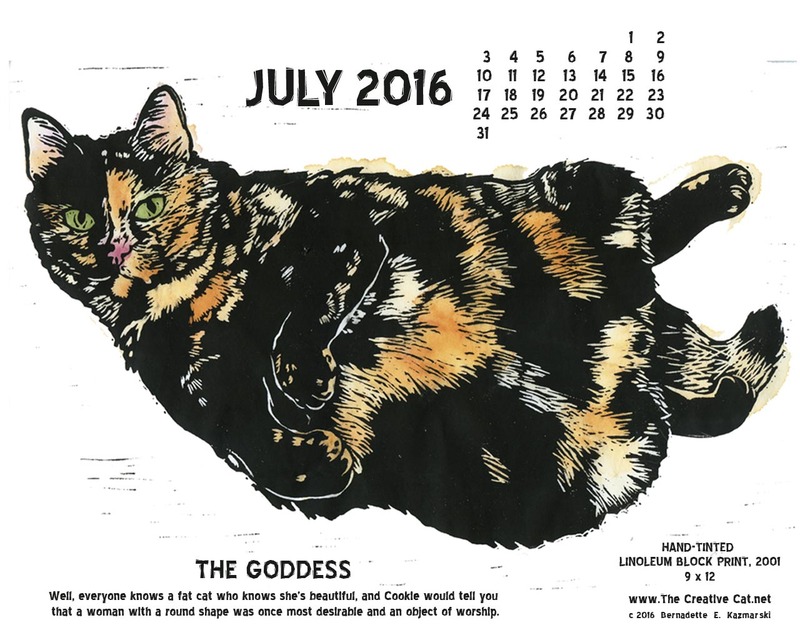 “The Goddess” desktop calendar, 1280 x 1024 for square and laptop monitors. 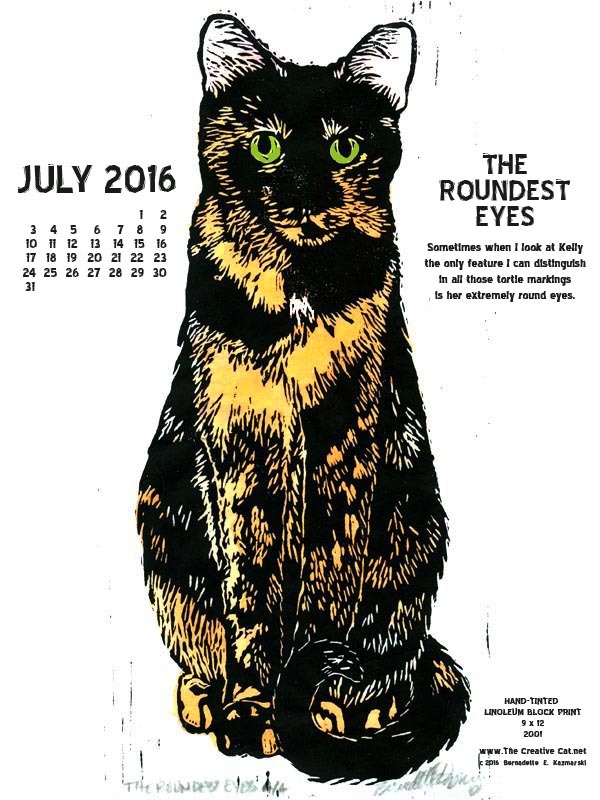 “The Roundest Eyes” desktop calendar, 600 x 800 for iPad, Kindle and other readers. 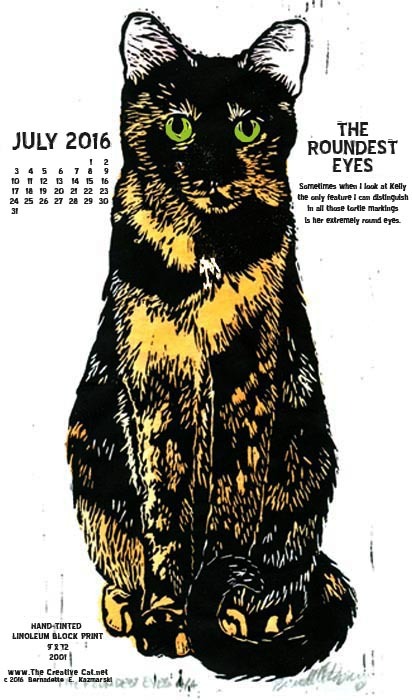 “The Roundest Eyes” desktop calendar, for 400 x 712 for mobile phones. 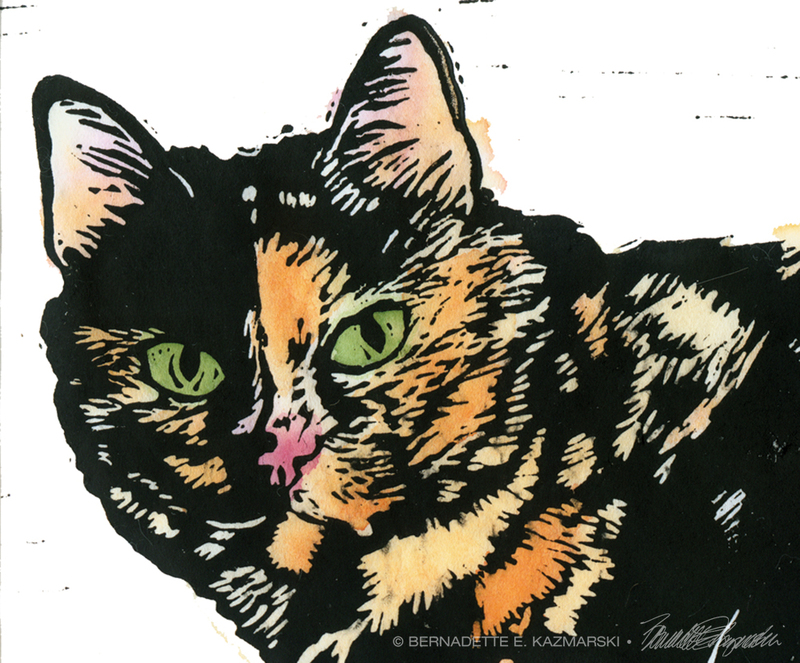 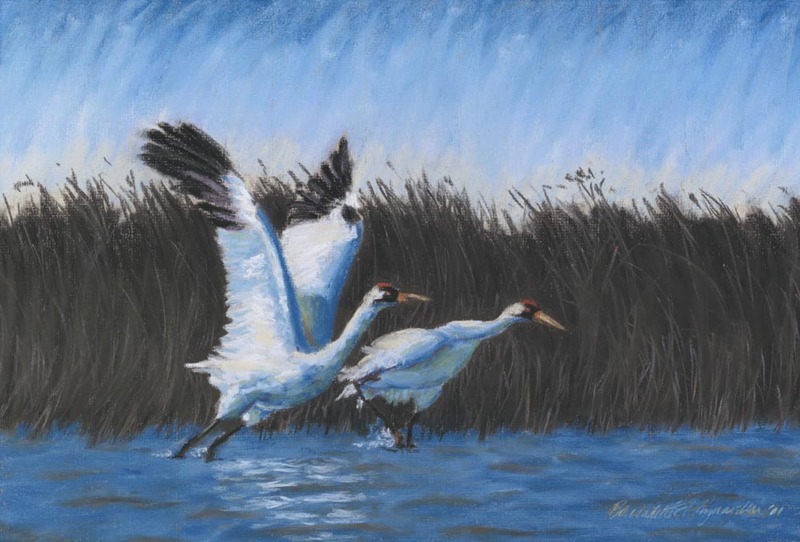 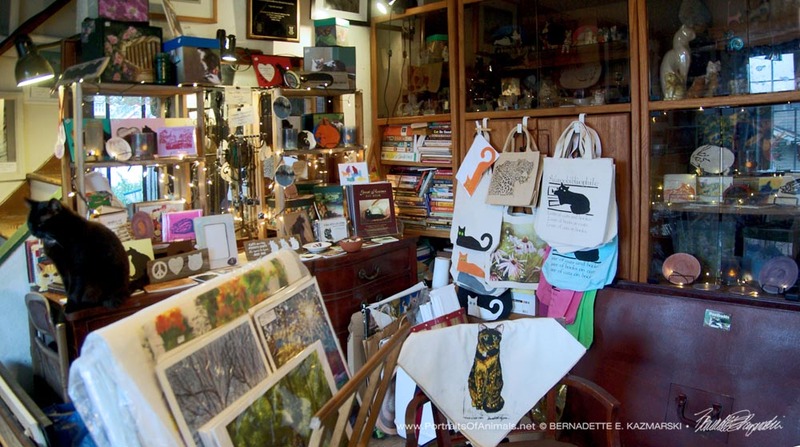 This entry was posted in animal-inspired merchandise, cat merchandise, Desktop Feline Calendar, Desktop Wallpaper Calendar, feline artwork, linoleum block prints and tagged animal artwork, cat art, cat artwork, cat merchandise, cat sketches, cats, feline artwork, three cats, watercolor on July 2, 2016 by Bernadette.